Bovis Homes has started work on the second phase at Boorley Park, which will see around 400 new homes built on the other side of the current development - on Maddoxford Lane - over the coming months and years. James, from Chandler's Ford, Eastleigh, started an apprenticeship in bricklaying aged 18, and on completion, three years later, started a trainee assistant site manager scheme. He joined the Boorley Park development two-and-a-half years ago. The father-of-three said: “There are so many opportunities for apprentices and young people if they work hard, to get out on site and make a career for themselves. It’s a fantastic job with so many rewards. “When you get home at night, you feel like you’ve really achieved something. You’ve built someone’s home and you know it will be there in 100 years’ time. Groundwork has started on the new phase at Boorley Park and brick work is set to begin imminently. The development, which includes other housebuilders, will include a new school, community centre, allotments, sports centre and pavilion. Families are already being attracted to the location’s three, four and five-bedroom homes, plus the development’s semi-rural feel. “We have some great family homes already here and are building even more,” James said. “There’s an ancient woodland that we’re maintaining, and lakes and ponds, plus a new footpath that is being built by the consortium of housebuilders here. James, who completed an HNC in Construction at Eastleigh College, joined Bovis Homes three-and-a-half years ago. He is a member of a golf club nearby and supports Southampton FC, along with his three boys, aged 11, 8 and 3. 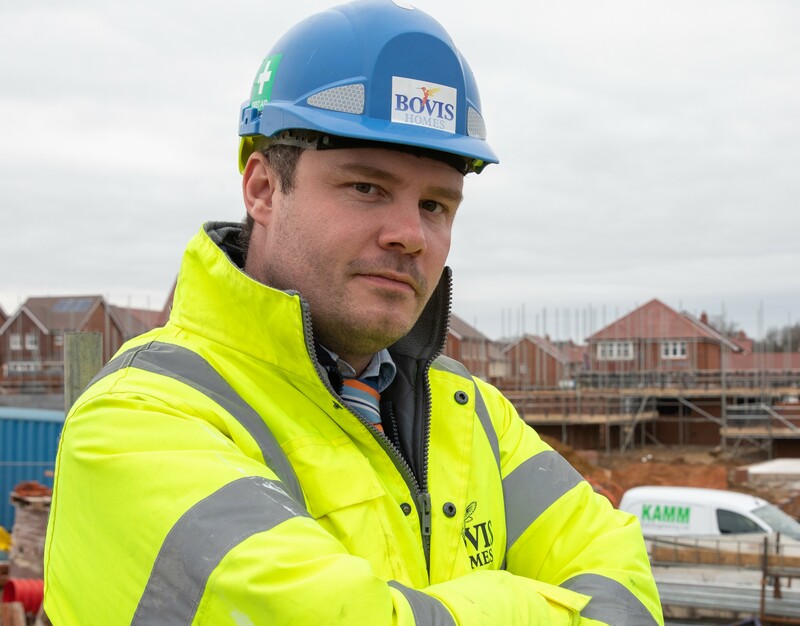 James added that one of the reasons for the development’s success is the Bovis Homes build team’s strong relationship with sub-contractors, who “understand the Bovis brand”. James Dunne, regional managing director at Bovis Homes, said: “Boorley Park is a flagship development that is hugely popular with home hunters.